More than 150 lucky sets of ears–contest winners (shoutout to 95.7 The Vibe), Kansas City tastemakers, and some of Mackenzie’s most die-hard fans– filed into Strange Music soundstage at Strangeland Studio, where they were met with pizza and some Mackenzie Nicole merch. 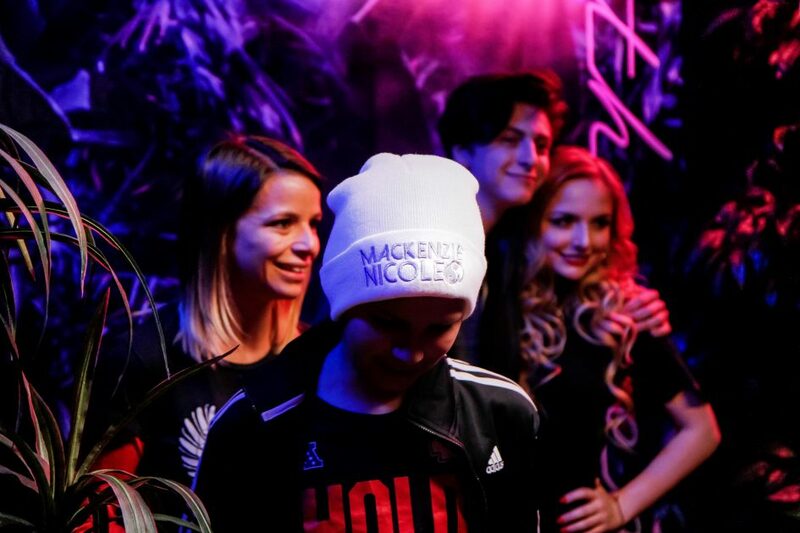 Once everyone was settled in and rocking Mackenzie Nicole beanies, Mackenzie took them to The Edge, playing her album in-full! Of course, Tech N9ne stopped by to sing rap his praises and introduce Mackenzie, where she fielded some fan question about her album, then proceeded to take pictures with fans in front of a very special setting (stay tuned). Despite all of the chaos, Mackenzie took some time out for some interviews (one of which you can find here. In addition to leaving fans blown away, Mackenzie also left personalized cookies which she baked and decorated herself! Actually making albums is hard work, but completing it is just the start. Its events like The Edge listening party, where artist are able to connect with fans face to face and leave a lasting impression, that truly make an album a success.